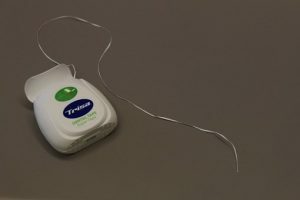 Flossing: A Dance or Hygiene? If you have a child and a video game console, it’s safe to assume you’ve heard about flossing. Even if your home isn’t into gaming, you are bound d to have seen the hottest dance trend: the floss. As an Oklahoma City dentist we are thrilled to see the enthusiasm around flossing. But how can we get kids to get just as excited about the kind of flossing included in their oral hygiene routine as they show with dancing? Summer can be difficult when it comes to maintaining schedules. Late nights around the campfire, vacations, and evening sports mean bedtimes are compromised. And, often when you get home late, it seems easier to let your child fall into bed rather than brush and floss. Take the 5 minutes to brush and floss each evening. It’s only 2 minutes of brushing and 2 to 3 minutes of flossing. This short amount of time alleviates the amount of time spent in one of our dental chairs getting a cavity filled. If your child will fall asleep before you get home, stock your car with a bedtime kit. In a small bag pack pajamas, a toothbrush and floss. Then, simply get your kids ready for bed before you head home. Another option is to brush and floss right after dinner. In this situation, you are assured their oral health is in order; just stay away from late night snacks. Why do we need to floss? The act of flossing as a dance move is a great way to expend energy while getting a bit of exercise. Flossing your teeth has health benefits as well. Flossing removes plaque from places your toothbrush can’t reach. Plaque forms naturally on all of our teeth as quickly as 4 hours after you brushed your teeth last. Brushing twice a day keeps the plaque at bay so it doesn’t calcify and turn to tartar. Tartar removal requires a bit more effort to remove and a visit to our Oklahoma City dentist. Kids today have information at their fingertips. More than likely they’ve googled how to floss. Take that same concept and look for videos on brushing and flossing teeth. Children learn by watching, so let them see how it’s done. Brush and floss along with them or pull up any one of the videos out in cyberspace. Our Oklahoma City dentist and hygienist are happy to help with tutorials as well. Turn your brushing and flossing into a fun regimen with music and dance moves. You’ll teach your family the importance of oral health and have fun at the same time. With a little imagination you can also keep your bedtime routine in check amidst crazy summer schedules. Stop by our Facebook page for more oral health tips and enjoy the festivities the season has to offer.